India industrial lubricant market is projected to grow to US$1.67 billion by 2023 on the back of strong growth in construction and mining sectors across the country, according to a latest report from the ResearchAndMarkets. It was US$1.28 billion in 2017, said the Dublin-based research house on 12 Feb 2019. Increasing demand for advanced lubricants, in addition to government initiatives towards infrastructure development and growing focus of manufacturers on expanding their production capacities, is expected to fuel the country’s industrial lubricant market. In the financial budget for FY19, the Indian government announced an investment of US$61 billion to upgrade infrastructure facilities across the country. Moreover, the government is planning to develop new seaports and airports. All these aforementioned factors are anticipated to positively influence the industrial lubricant market in India during forecast period, according to ResearchAndMarkets. 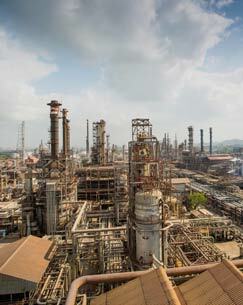 The in-depth report also lists some of the major players operating in India industrial lubricant market.